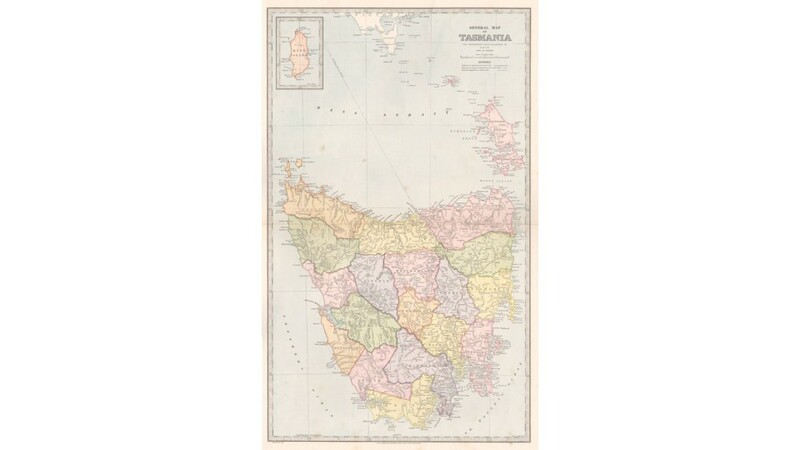 Detailed map of Tasmania with inset map of 'King Island'. 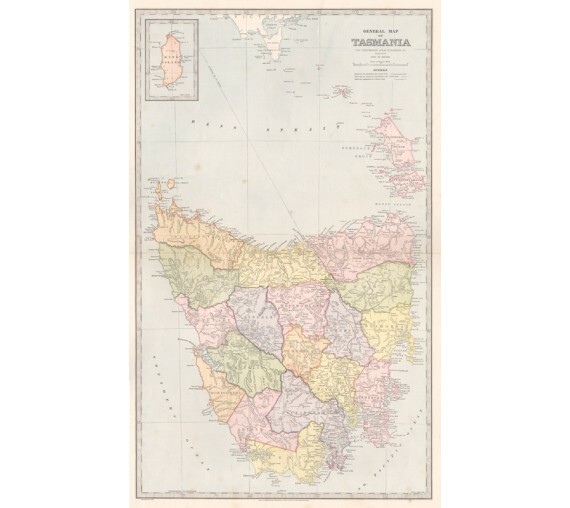 From 'Picturesque Atlas of Australasia'. Central horizontal fold as issued. 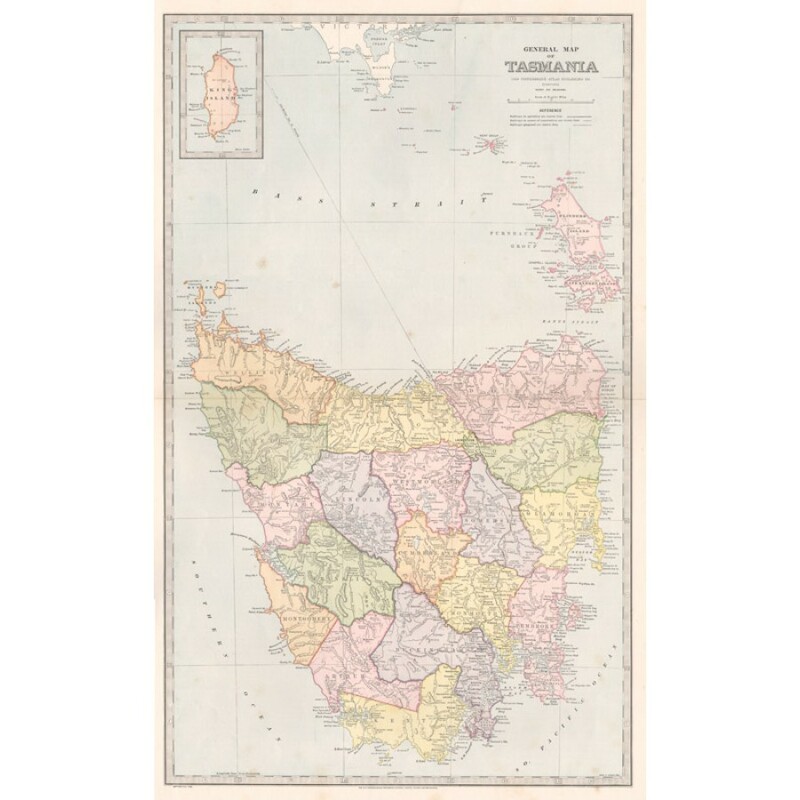 Key on reverse. A little light foxing.